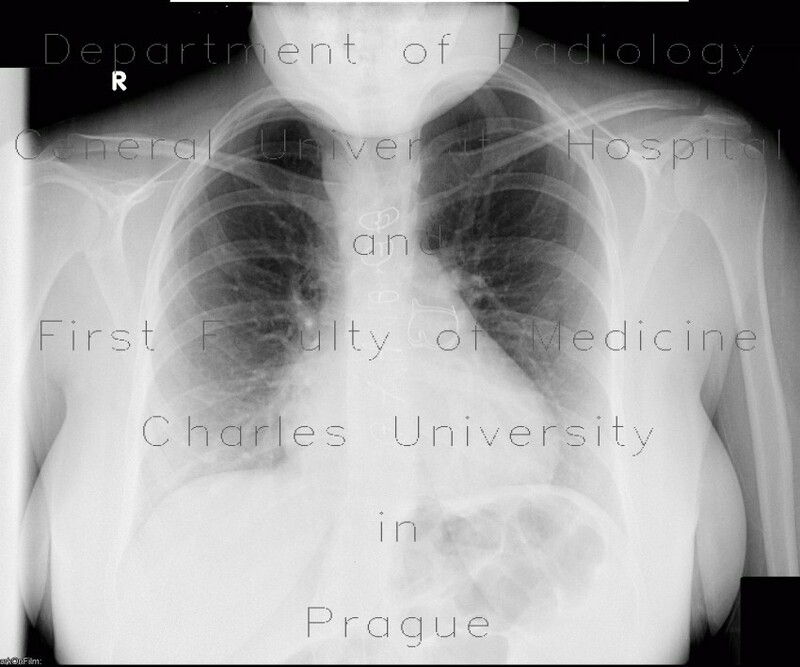 The shadow of prosthesis of pulmonary valve marks its normal position on a chest radiograph. The heart shadow is enlarged in a patient with (surgically corrected) Fallot's tetralogy. Suture of sternum by wire loops.